Hey, Hey Book Lovers of the world. 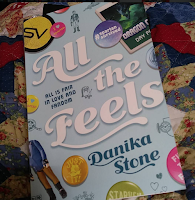 I AM BACK... With a new blog on a Book called "All the Feels" By Danika K Stone. I pick up this book on a whim on Amazon.com because it mentions Fandom love. So if you're anything like me, You are a fandom lover of some type. I know that I have personally loved several fandoms over the years, like Twilight, Doctor Who, and right now I am a huge Descendants fan. But anyway let's get to the summary and review because that is what you are really here for, like always. This book is about a young girl by the name of Liv, who is one of those fandom loving fans, of a movie series called Star Veil. Star Veil is described as being similar to Star Trek. Liv is also in college for a degree in Video Media or film. So when the main Character dies in the latest Star Veil film, Liv Decides to change the ending of the film. She is complete obsess by Spartan, the main character in Star Veil, like many of us were with Rob Patterson. Along the way, her friend Xander, helps her to change the film ending, by starring in Liv fanmade style videos. As they work together more and more, it's possible Xander maybe becomes more than just a friend. All the while Liv also has to deal with a Mother who seems to be less of an adult than Liv is. As things progress in the book, Liv and Xander go to Dragon Con to see all of the new Star Veil information and media. But when they get there they find out, that Star Veil film industry might have more to it then Liv originally thought. If you want to know anymore you should really go buy this book and now let's get to my thoughts. I rated this book a 4 out of 5 stars because I had some issues with this book.Originally I felt like this book was a great 3 stars but the ending of the book change that. So my issues with the book where that Liv felt a little too obsessed with the Main character Spartan, to the point of depression, this somewhat bothers me. The second reason was Liv's Mother was very childish. Liv's Mother Seem to believe that as long as you have a study Job this makes you an Adult. Now I have personally experienced this belief from people in my real life but that's not always the case as I have learned. As the story goes on Liv's Mother seems to think it's okay for her boyfriend to tell Liv what to do with her life. This was an Issue for me because unless you are married to someone, you have no right to parent another person kid and sometimes even then you don't always have that right. These type of decisions don't make you an adult. So I felt like Liv's Mother need to grow up a bit. As for what turn the story around to a four star was the ending of this book. I love how Xander stood up for Liv when she was faced with the ending of the Star Veil. But in order to know what I am talking about you will have to read the book. I also loved how Liv and Xander change themselves throughout the book. These things really change the star rating for me. Again I will say you have to read this book to know what I am talking about. Finally, I love Danika's writing, it was amazing. It reminded me of some of the best fanfiction I have ever read in my life. 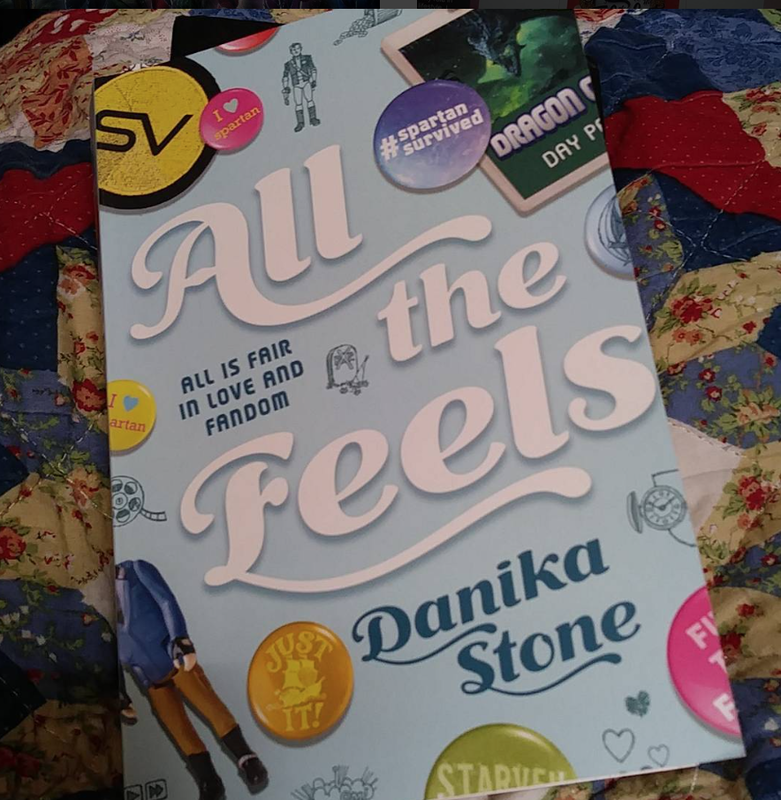 You can truly tell that Danika wrote fan fiction by the way she writes in her book. Please don't take this as a reason not to read this book, because some of the greatest authors where fan fiction writers like Cassandra Clare originally wrote Immortal Instruments as a fan fiction. I just love how fandom fanfic Lovey Dovey this whole book was. It really is a fandom dedication book. So please go check it out. As always all of the links for Danika and her book are below, along with all of my Social Media links.